And… I’m back on the beauty bandwagon. I was feeling really unattractive towards the later part of my pregnancy and throughout the one month of post-natal confinement. I dedicated this week to myself and booked myself to a treat for every part of my body (well almost!). First up was nails! It’s been sooooo long since I last went for a manicure and a pedicure. I have this gallery of nail art I want to attempt on my nails but well, I was busy with the baby. Anyhoo, I headed over to my regular nail salon which is really near where I live. 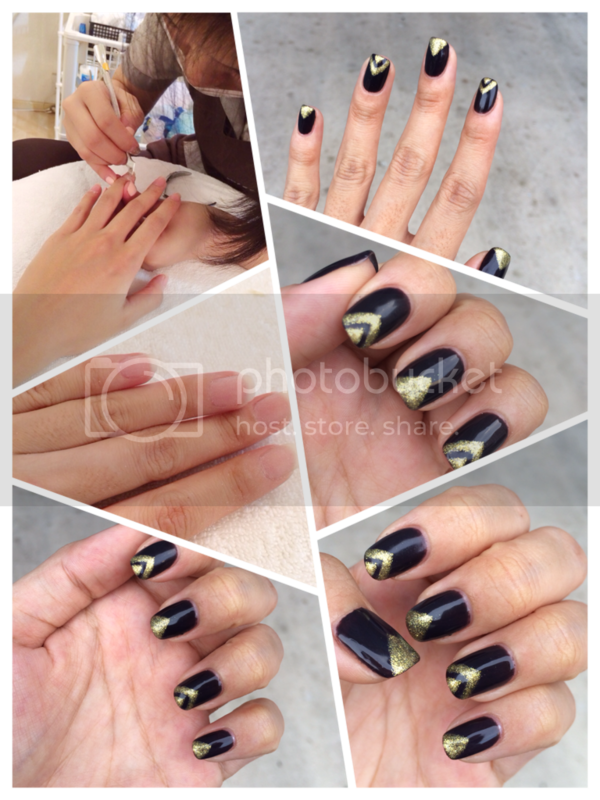 Misayaki Nails is located super conveniently at Boon Keng MRT. Love! I did a Gelish Manicure where I had my overgrown cuticles snipped out really well and gotten a gorgeous black and gold design painted on. I also did a normal Pedicure. Nothing much to feature since I didn’t paint them. I just needed to have all the dead skin removed. For $30, service included a foot scrub and application of lotion on top of the other usual services for a pedicure!